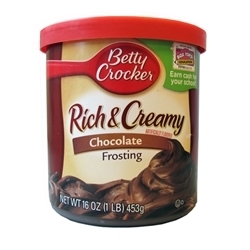 Betty Crocker Rich & Creamy Chocolate Gluten Free frosting comes in a case of 8/16 cans, allowing for smaller use as needed for those with gluten alleriges. Ingredients: Sugar, water, high maltose corn syrup, palm oil, corn starch, cocoa processed with alkali, canola oil. Contains 2% or less of: salt, distilled monoglycerides, polysorbate 60, natural and artificial flavor, sodium stearoyl lactylate, sodium acid pyrophosphate, color added, nonfat milk, citric acid. 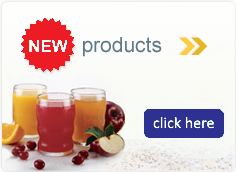 Freshness preserved by potassium sorbate. Contains milk ingredients.